In the beginning of summer, my parents visited New Zealand for the first time and we took them on a little whirlwind tour of the country. It was a jam-packed month during which we tried to made sure they got to see the most amazing sites (including a couple of places I’d never been to either, like Milford Sound). We couldn’t believe how lucky we were with the weather (even if mum and dad found it a wee bit chilly most of the time). The sky was clear for 99.9% of their time here and the southern lakes were a real beauty. 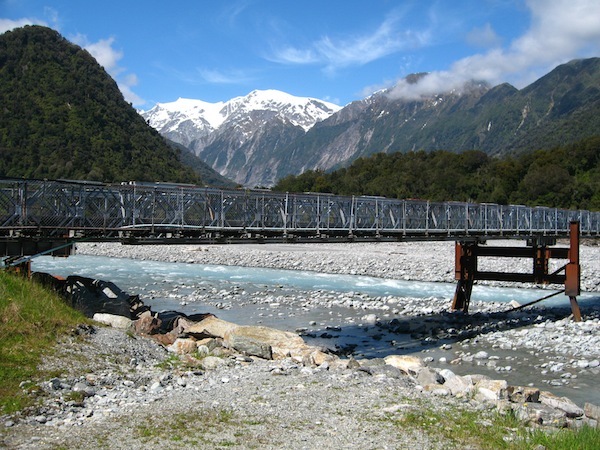 We started off our southern roadtrip in Christchurch (which my parents were fortunate enough to visit pre-earthquake) and headed west across Arthur’s Pass to Greymouth. From there, we drove south to the glaciers and then to Wanaka and Queenstown, before heading to Te Anau and Milford South, and all the way down to Invercargill before starting the journey back up north through Dunedin, Oamaru, and a bunch of other cute little towns, back to Christchurch again. The poor rental car clocked up a lot of kilometres but we still had plenty of time to stop and enjoy the amazing landscapes. 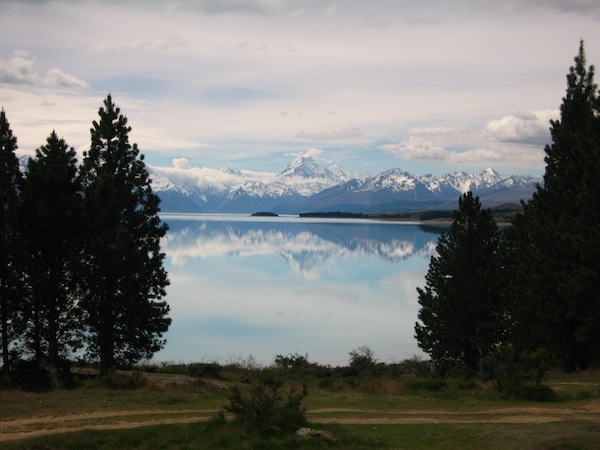 I honestly can’t remember how many photos we took of this lake (Lake Pukaki) but we just couldn’t believe how beautiful it looked. We had driven past it earlier in the day and it hadn’t been quite like that but I guess the real still air with zero wind caused this image in the afternoon. I was so pleased they got to see it like that too. This was my third trip to the South Island and every time I go I’m reminded of why New Zealand is considered one of the most beautiful countries in the world. 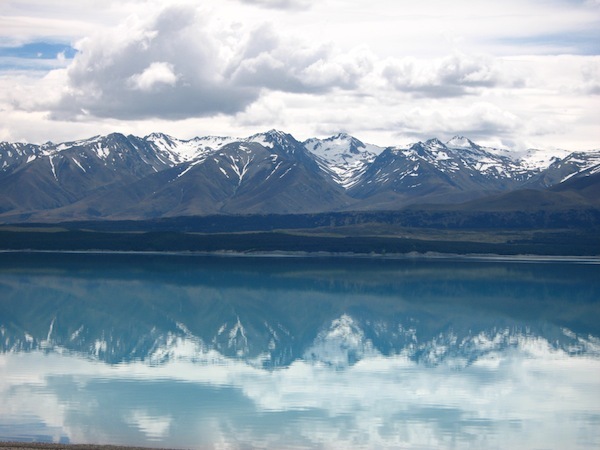 It’s not that the North Island isn’t pretty – it is! 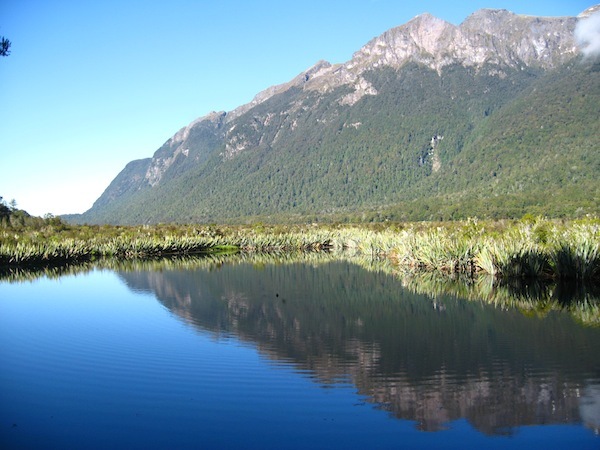 – but the South Island is truly spectacular. P.s. : Dear tourists travelling to New Zealand for the Rugby World Cup in September: if you come all the way to the bottom of the world and don’t take the extra drive/flight to the South Island, you’ll be missing out on the most amazing landscapes ever. Consider yourself warned. * As winter reaches New Zealand, I thought the next best thing about warm coats, hot cups of coffee and comfortable knitwear would be to remind myself of how much I enjoyed the past summer. It is also a good reminder of the good times to look forward to when the next summer comes around. Oh yes it is! 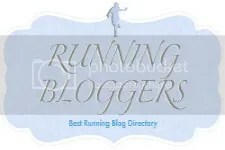 This is the third post of the series.The first one was about Rarotonga and the second was about White Island. 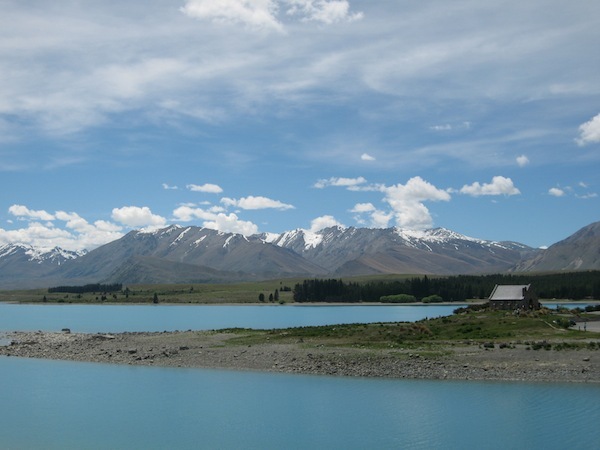 Categories: travel | Tags: new zealand, photography, roadtrip, south island, tourism, travel | Permalink. comment on dit ici: j’hallucine!!!!! Good thing you didn’t forget your camera on this trip!! STUNNING! I’m sorry to say I’ve been to NZ twice but haven’t been to the south island yet. It’s on our list though!